URISA provides an abundance of marketing and promotional benefits for companies interested in connecting with the influential URISA audience. There are several levels of Partnership from Platinum to a Business category for smaller consulting firms or start-ups. If you are an individual member working for a software, service or application provider, and your company is not a corporate partner, please speak with your marketing and business development departments about the options. URISA is your direct connection to key decision makers in government GIS; the individuals who drive the adoption of technology within their organizations; the past, current and future influencers in GIS. A partnership with URISA will raise your organization’s visibility, facilitate the exchange of information and ideas, and build relationships with the Who’s Who in GIS. The partnership is much more than sponsoring a conference. You will have a seat at the table in shaping URISA’s agenda with a direct link to the Board of Directors. Network with URISA’s leadership and share valuable perspectives on industry issues. 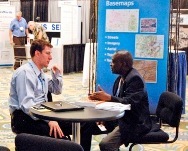 Capitalize on the opportunity to exchange ideas and propose programs that benefit both your organization and that of the URISA membership and GIS Community as a whole. "DTS has been a long standing member of URISA because they are the thought leaders in terms of sharing best practices for GIS Management and Municipal business process analysis through training, networking, and educational opportunities." "As a private sector entity, URISA is the only organization where we are treated with an equal and knowledgeable voice as a GIS stakeholder next to someone from academia or the public sector. 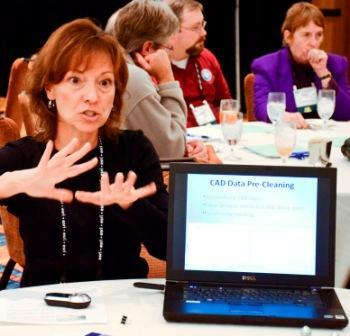 This allows our staff to be true members by joining committees, contributing content to workshops and being instructors where we can truly be a part of the GIS community." The opportunities for engagement are limitless and the levels of partnership were designed to accommodate a wide range of budgets and resources. We invite your participation as a URISA Partner. Learn more below or contact Executive Director, Wendy Nelson (847-824-6300, wnelson@urisa.org).